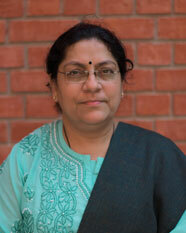 Dr. Sangeeta D. Misra obtained her Ph.D from IIT Kanpur in the year 1993 and is currently Professor of economics at IIM Lucknow. She teaches Business Economics, Industrial Economics and Business Strategy, Macroeconomics, International Business Environment, and Interindustry Economics at IIM Lucknow. She has to her credit several research papers which have been published in journals of repute. In the past, she has conducted several training programmes as programme director at IIM Lucknow for managers of corporate houses and government organisations. Prof. Misra has over twenty years of experience in teaching, research and consultancy. Her current research interests include industry studies, the role of industrial and financial economics in guiding and shaping business strategy, the use of interindustry economics in shaping policy at the national level, and social cost benefit analysis.